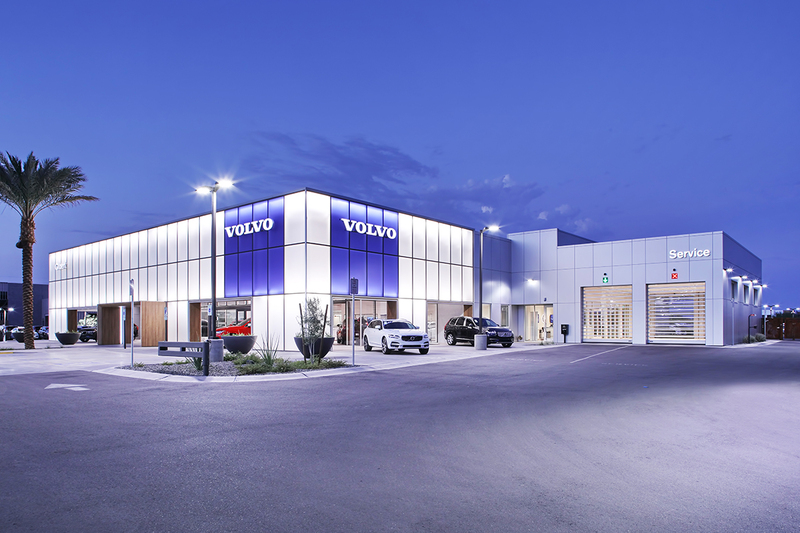 A luxury sales and service facility on a four acre site that is part of an upscale automotive campus within the Rivulon development. 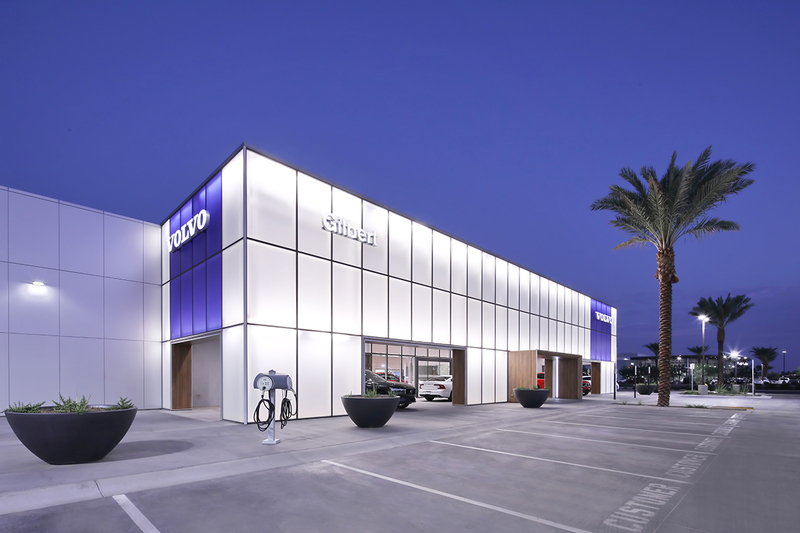 The front showroom facade is comprised of semi-translucent white and blue glazing that is back-lit at night, making the entire facade glow. 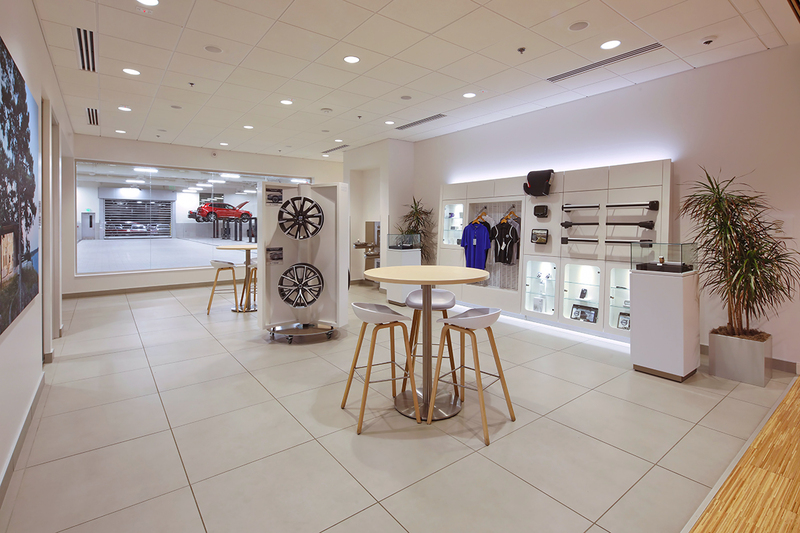 The service department is visible to customers in the showroom and has tiled floors and walls. 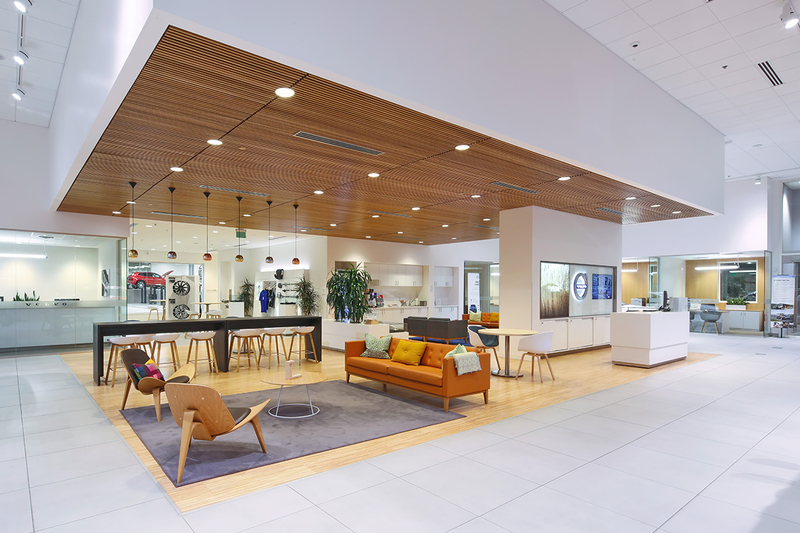 Warm wood finishes in the customer areas contrast nicely with the cool white finishes of the rest of the facility. 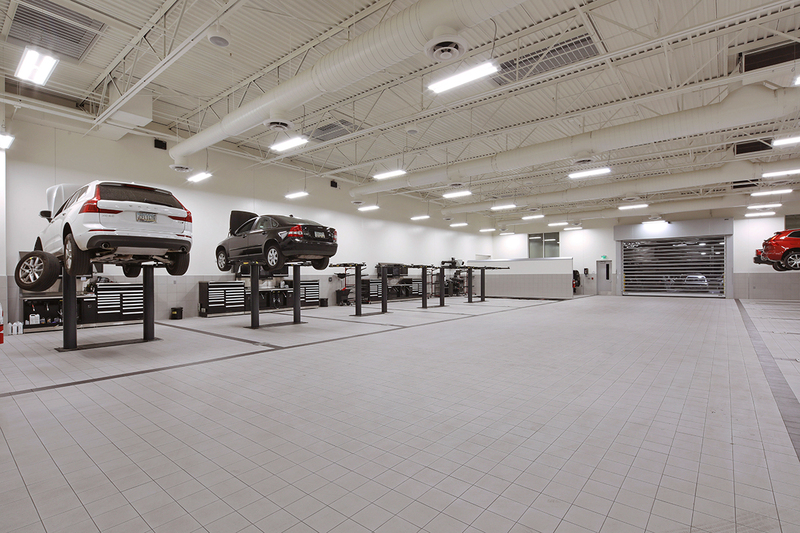 There is a free-standing car wash and detailing building.